Generator Workshop: Buford Highway has begun. Our first generation of Generators have begun in their exploration and discovery into who and what make Buford Highway a place. 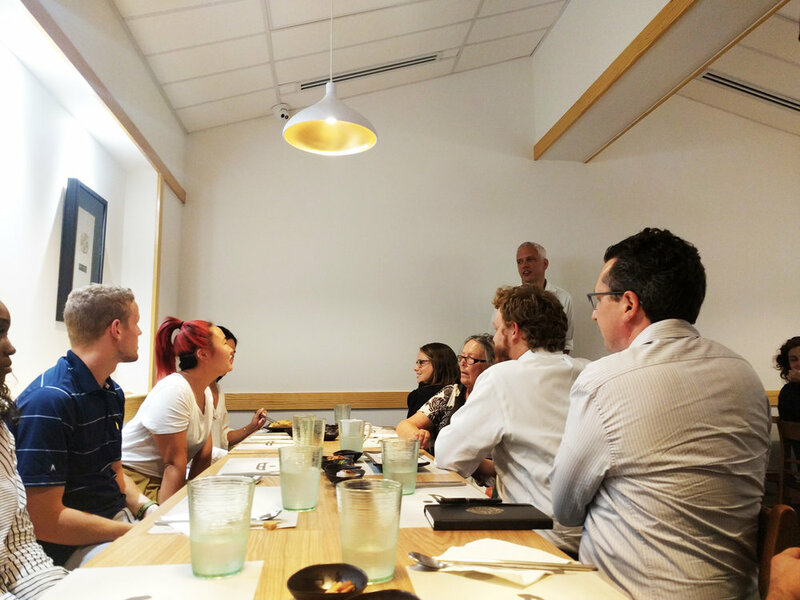 On Tuesday night, Dish Korean Cuisine let us use one of their private rooms to enjoy their food and have our discussion. The dinner featured an all-star cast of some Atlanta's influential difference-makers, including Marian Liou (founder of We Love BuHi), Christiane Lauterbach (esteemed Atlanta food critic and founder of Knife and Fork), Hannah Palmer (author of Flight Path), and Ryan Gravel. Marian asked the class, "What keeps you up at night?" Identifying our passions and motivations is important if we wish to generate the changes we wish to see in our cities. The students will be successful if they continue to question their own passions and continue to just question.